Today I’m going to talk about Multi-Tools and Kombi Tools and how they can help you. Different manufacturers have different names for there tools, some of the names used are, Multi-Tool, Kombi system, long reach, pole saws etc. 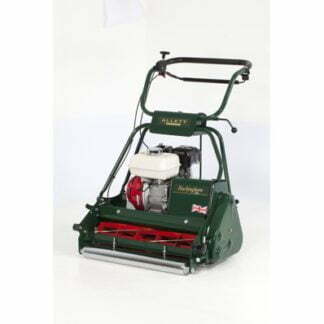 These particular machines consist of a power unit can be in petrol, electric or battery form and the classic attachments are hedge trimmers, (as in Longreach hedge trimmers) Longreach pruning saw, as in a chainsaw, strimmer heads, power brushes, mini cultivators, blowers and more. You can see my video on Multi-tools below. I actually own a multitool and I think one of the biggest benefits is that you can have a range of attachments with just one power unit. Obviously, some types of attachments work more efficiently, but for me to have a power unit that I can put a strimmer head-on, a Longreach hedge cutter and a Longreach pruning attachment is a huge benefit. The great thing is these tools take up very little space and it is a far cheaper way to have a range of power tools than to buy them individually. I appreciate that, for example, using a Longreach hedge cutter is extremely useful, but if you have a considerable amount of hedges to cut it may not be practical to use a Longreach to do everything, it is much easier to get a better cut and close a cut with a traditional hedge cutter. However, I don’t have a huge amount of hedging, so I just use my long reach hedge cutter attachment for everything. I will probably purchase another power unit soon as I like to have the benefit of having a spare power unit should anything go wrong, this is another benefit of using the Kombi system. I appreciate that this idea may not be practical for everyone, but even having two power units is much cheaper than buying your power tools individually with their own individual power unit. Another benefit of a long-reach hedge cutter on a kombi system is that I think many of us realise how wide hedges can become, a Longreach hedge cutter is exceptionally useful to reach those wide hedges that we can’t get with the traditional hedge cutter. First of all, I would definitely say that the benefits outweigh the downside of a kombi tool system. 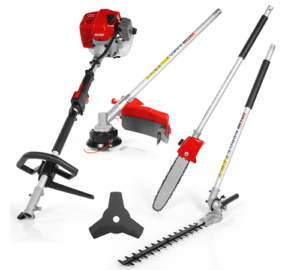 Probably the biggest downside is, for example, using a Longreach hedge cutter to face your hedge is much harder on the arms and body than a traditional hedge cutter, however, as I mentioned earlier, if you haven’t got loads of hedging, then it’s very manageable to use a long-reach hedge cutter. 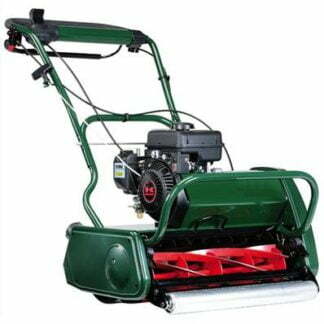 The other issue is that it’s easier to face a hedge with a traditional hedge cutter as they are lighter and easier to keep straight when cutting a hedge, however, please don’t be put off by this last sentence, as there are many benefits. As I always say, try and buy the best quality Kombi tool that you can afford, there are some very cheap tools on the market, but it pays to buy a quality tool that will last. 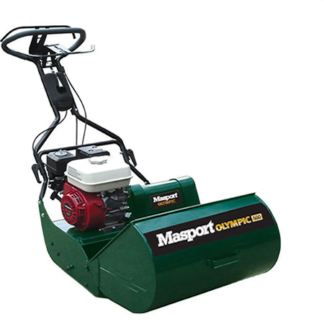 It’s also important to make sure that you have access to spare parts at short notice, unfortunately, from time to time machinery does break down, so it is of great importance that we have access to spare parts. Multi-tools and Kombi systems are powered by petrol engines, electric and battery. Personally, I am someone who likes to have something with a real engine on, I have never been one for having electric cables hanging around, to me an electric cable is just something to get tangled up! The battery or rechargeable Kombi units are much improved over the last few years, just remember that batteries are expensive to replace and you also need to have a couple of spare batteries that you can charge up in between. It’s frustrating if you are halfway through the job and you don’t have a spare battery to finish the job. I have owned several Kombi tools over the years, something that I always make sure of doing it is to buy a decent sized power unit, in fact, I always go for the most powerful as I would like to have something that’s overpowered rather than underpowered. 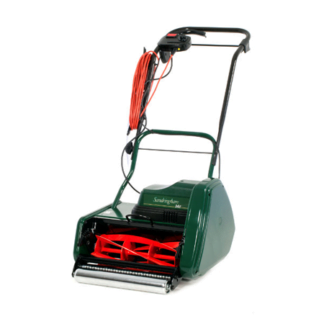 For example, I have a strimmer head on my Kombi tool as I am often cutting down long grass, so it’s important to have the power there, however, when I use my long reach hedge cutter attachment it only uses a small amount of power. If you buy something with a larger power unit it should last you longer, so long-term it works out cheaper. You can see more of our multi-tools here. 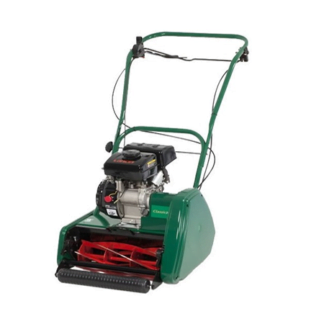 Previous post: What Type Of Lawnmower Do I Buy?